I’ve always thought he was bright. He was and is his uncle’s nephew. I saw him first as a cub and I saw the fox he would eventually grow up to become. There are situations that are bigger than the man and he was a victim of bigger things. That’s all. He is vilified at every turn but then again those who vilify him are not exactly saints. They have their ambitions and for all claims about grave concern for the party for each and every one of them the party is but a vehicle for personal advancement. Not that he is not ambitious (who is not, after all? ), but this holier-than-thou postulations really give me more cramps than those who authored me and amended me have burdened me with. True, it was his uncle that gave it to us. True, his uncle came up with it so that the UNP could remain in power forever. True, his uncle envisaged that one day his nephew would benefit from it. True, things didn’t pan out the way everyone thought they would. True, instead of benefiting from it, he is suffering from it. 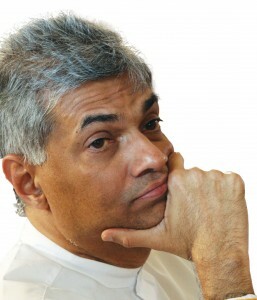 Ranil Wickremesinghe has ample reason to see flaw in the 1977 vehicle. Naturally, the beneficiaries of that document who for decades called it draconian and used all kinds of unkind words to describe its author are of the view that the vehicle is anything but imperfect. It works fine. For them. All this is true. What is also true is that he, Ranil Wickremesinghe that is, is absolutely correct if he was speaking for the people. That car might be called any number of names but ‘Democratic’ is not one of them. Whether or not a new vehicle benefits my main man, the people of this country need a new one. Non-negotiable. I applaud him, this now-not-so-young fox. He deserves much praise. He speaks the truth. Even if he turns out to be the main beneficiary of a new vehicle (for example, getting to be in the driver’s seat), he has to say it simply because it is the truth. We need a new vehicle. We need a new constitution! What I am sad about is the fact that while he went on and on and on about a new vehicle for the country, he didn’t utter a single word about the fact that the party vehicle (that’s me, by the way), is on the verge of being sold for scrap. I am in such a poor condition but he hasn’t had the eyes to notice the fact. I’ve had parts replaced. There’s been a lot of tinkering done over the years. ‘Beyond Repair’ is a town I will be visiting pretty soon. He didn’t see me. Has hasn’t seen me. He will never have eyes for me. It’s almost like a man who has eyes only for some other woman. I don’t want to live forever. I know I’ve outlived my usefulness. I want to die. He is not letting me die an honorable death. I want to be replaced too! So kill me, Ranil! Now! Can Anti-Corruption Campaigners Justify Impeachment Of CJ? « Can The Anti-Mahinda Camp Think Straight?